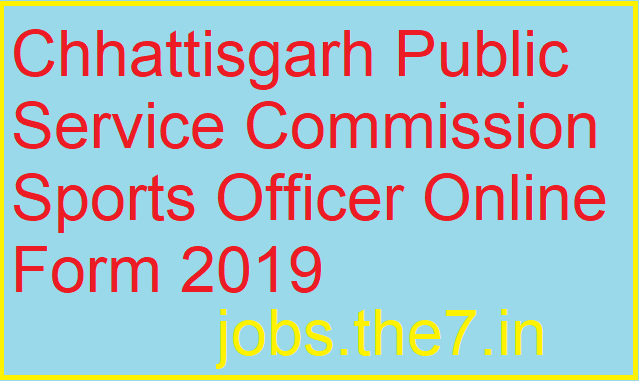 Chhattisgarh Public Service Commission Sports Officer Online Form 2019 - Government Jobs, Sarkari Naukri, Sarkari Result, Admissions, Rojgar, Exams Alerts. Librarian- Candidates having Masters Degree in Library Science/Information Science/Documentation Science with minimum 55% marks from any recognized university will b e eligible for this post. 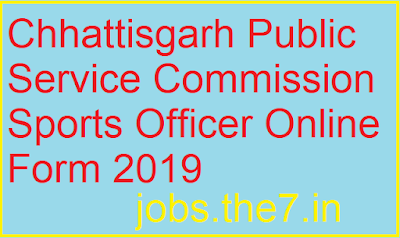 Sports Officer- Candidates having Masters Degree in Sports Science/ Physical Education with minimum 55% marks from any recognized university will be eligible for this post.. Candidates can apply through link provided below or they can also apply through official site of the CGPSC before 05/May/2019.